All content on this website, including, but not limited to, photographs, marker locations, directions to marker locations, articles, and commentaries, belong to me, unless otherwise noted. 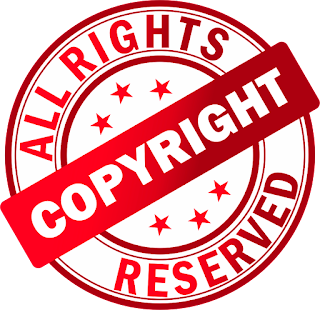 If I find that you have infringed on my copyright in any way, I will pursue you to the full extent of the law, as far as I am able, including attorney's fees and costs. My charge for the use of my photos is $1,500.00 per photo per use. Theft of my photo(s) is purchase of my photo(s). If I discover you are using my photo(s) anywhere -- including, but not limited to, online (website, Facebook, Twitter, Instagram, etc.) or in print (books, flyers, marketing pieces, etc. ), you will be billed accordingly with the expectation of payment within 15 days, or my Federal lawsuit (yes, copyright infringement matters are resolved in Federal Court) will be filed. There is no excuse for the theft of a photograph -- not "We didn't realize it was your photo" (well, if you didn't take the photo and you don't know who took the photo, then whose photo did you think it was??? ); not "We have an intern who didn't know" (really? then who's in charge of the intern? ); not "We took it down and we're really sorry" (sorry about what? that you got caught?). No excuse. NOTE: I do not take the theft of my photos lightly, and I will pursue you. The law protects ME; it does not protect YOU. If you're interested in any using any content on WisconsinHistoricalMarkers.com website for any reason, you must contact me first for permission or face the legal consequences. Click here to contact me via e-mail.